Hi Pinshapers! Claire here, from Sculpteo. 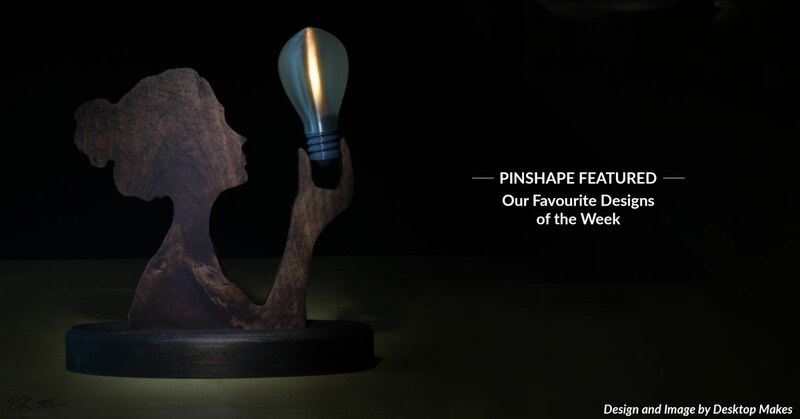 Do you look forward to the weekly “Staff Picks” articles on the Pinshape blog that show off the coolest things to 3D print? We do too and so we wanted to contribute to the blog here and share some of our knowledge with you! Today we’re going to help demystify some 3D printing technologies for you in a battle of FDM vs SLS. We’ll showcase Sculpteo’s 3D printing services to help explain the differences between the two print processes, and provide some side-by-side comparisons of the results you’ll get with each type of printer . If you’re curious about 3D printing but don’t own a 3D printer, or if you would like to have a professional quality print to give as a gift or to keep for yourself, this article is for you. 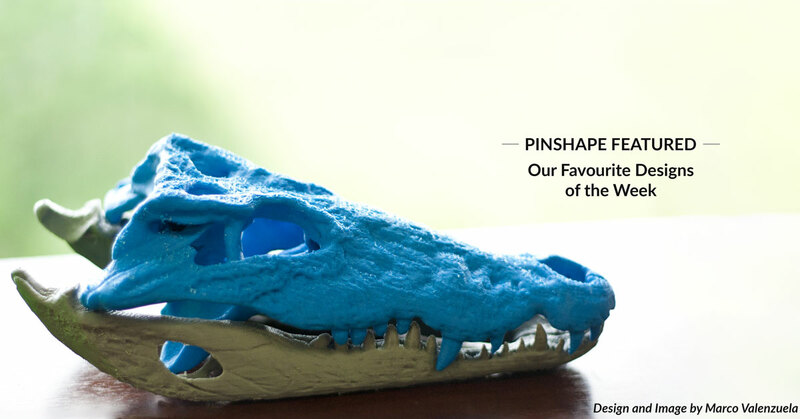 We’ve covered these technologies before, and you can find the details of how FDM (Fused Deposition Modelling) and SLS (Selective Laser Sintering) work by checking out Pinshape’s “What is 3D Printing?” blog post. As a quick summary, FDM is the dominant technology in the consumer-level 3D printing market due to the relatively low cost (a few hundred to a few thousand dollars) but does have it’s technical limitation, while SLS 3D printers are typically seen in professional or industrial settings due to the cost of the machines (tens of thousands of dollars), which is balanced by the high quality and technical capabilities. The great news is, consumers can get access to the benefits of SLS printers (as well as other technologies) without the need to purchase the machines by using print services, like Sculpteo. The easiest in terms of complexity is the spinning top. The object is simple, with few angles— a basic 3D printing design! The design of middle complexity is a mesh. The object is complex because it is printed out in one go and needs the pieces to be mobile. This kind of mesh can be used in fashion and clothes, such as those of Danit Peleg. The most complex of the designs is a springy ball. This object is complex because there are a lot of springs in the design to make the ball bounce. The material needs to be both resistant and flexible. FDM: MOJO Printer, with a precision of 178 Microns, printing with P430 ABS PLUS as material and SR-30 Soluble for the support on the more complex models. This is a dual extruding printer and we used the default settings for support generation to reduce total support used. SLS: EOS P110 Printer with a precision of 150 microns, printing with Basic White PLA with a row definition. 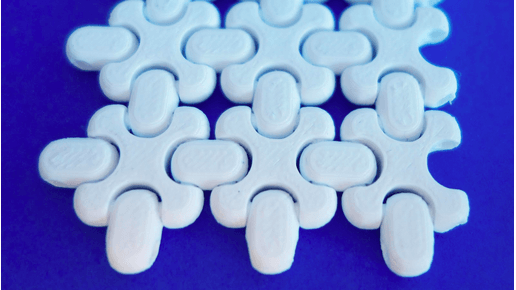 It is the most basic option and material available for SLS printing. The FDM Top : We opted to split the top into two pieces and lay them flat due to the curved bottom of the design (this isn’t required, but we wanted to reduce the supports that were needed). It took just over an hour and printed out easily. After gluing the pieces together, the top spun correctly, and due to the weight distribution of the print, the FDM version actually spun better than the SLS version. The SLS Top : We printed the top in place as a whole in two days. When we tried it, the top also spun correctly. It would have taken us two extra days to deliver it to you. For this level of complexity, the main difference between the two tops is the final aesthetic. If you want a smoother appearance, SLS will be better. 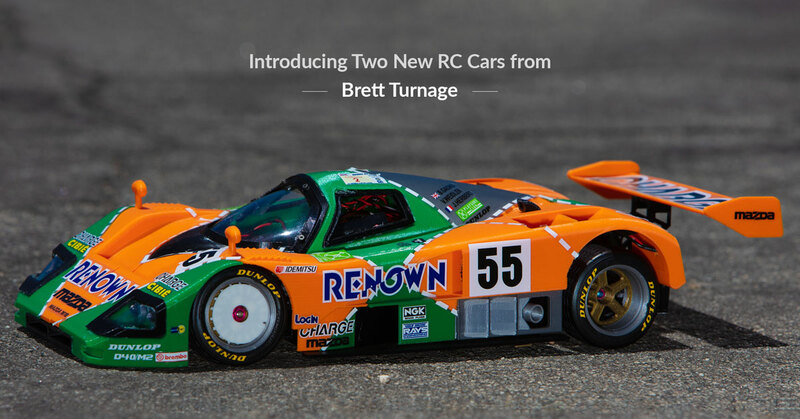 Also it depends how comfortable you are with CAD software (to split the top into two if you want) or your willingness to complete some post-processing of the printed object. If you have some knowledge, it would be easy for you to FDM print it. Otherwise SLS would be an easier way to print this. One thing to note is that for 1 top, SLS is way more expensive due to the cost of shipping (6 euros). But if you add another top to your order (or more! ), printing this would be more affordable. The FDM ChainMesh : The ChainMesh was printed in place as one piece, in one day. The finishing is rough and not really aesthetically pleasing to use for fashion purposes. The mobility between the components was good enough for prototyping, however, and are great to try multiple iterations in a short period of time. The SLS ChainMesh: This ChainMesh printed in one go, in two days. The finishing is soft and its appearance would be good for fashion purposes or dyeing. The mobility of the components was smoother than the FDM one, allowing a better movement of the mesh. This would be a great choice once you have settled on a design you’re happy with, following your FDM prototyping. The final flexibility is identical for the ChainMesh, even if you have to push harder on the FDM print due to the roughness of the material. On this above picture you can clearly see the layers on the FDM model while the SLS one look smoother. You can observe that the last layer on the FDM model left some lumps on the top. This detail might be a problem depending on what you’re using the piece for. 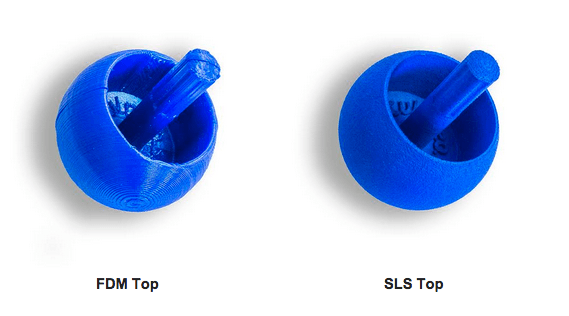 If you wanted to dye it, the SLS piece would be the best choice, but you can also print in multiple colors and materials on an FDM printer. The main difficulty in printing this object is getting a good shape printed to make a usable bouncing plastic ball! The SLS Springy Ball : The SLS Springy Ball printed in place, fully assembled, in two days. Several times, we threw the ball and it bounced and rolled. The FDM Springy Balls : This print was a disaster. It took two days to print it and clean it. We had to leave it in a solvent for 7 hours to take off all the supports, but the springs were weakened after this step and broke. So we printed it a second time, trying to take off as much support as we could before putting it in the solvent for 3 hours. Unfortunately, the springs broke again. Why is this model so fragile and complex? Let’s take a look at the springs. Thus the material used needs to be both resistant and flexible at the same time. 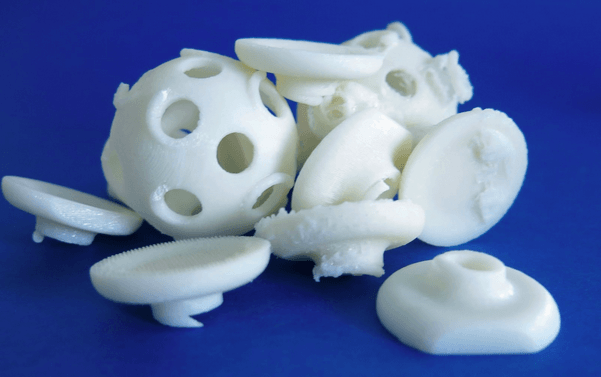 NinjaFlex filament has these properties, but due to the number of holes in the structure, even with a more advanced filament, a FDM printer has a very small chance of success. When to use FDM vs SLS? When you want to print one object with a low level of complexity, FDM is the best choice: it’s quicker, cheaper, has a good result and you can enjoy the fact that you made it yourself! But if you want to print many objects of the same model using SLS, the price will decrease per unit you print. For more info, feel free to check out our analysis of the cost of printing various objects on FDM vs SLS printers based on the number of prints you’ll need. If you want to print an object belonging to the second level of complexity, you have to ask yourself three important questions. Is this object a present, or something I want to give to someone? Do I expect this object to last ? Do I need this object to have good technical properties ? If you answered yes to one of these questions, then you might want to consider using an SLS 3D printer. 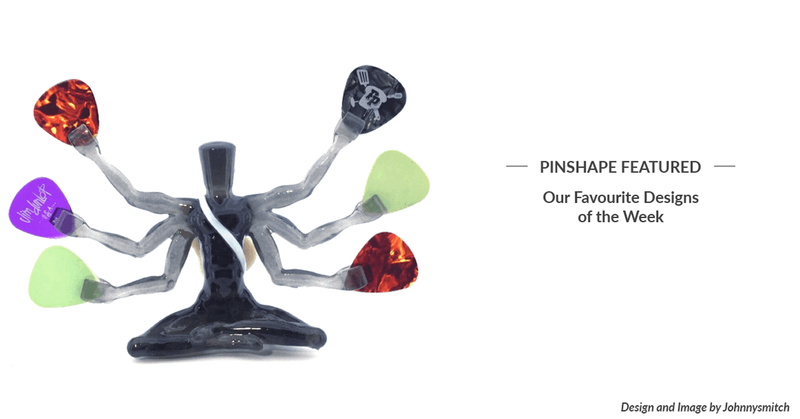 Because a smoother finish will make a better looking object, making it more suitable for a gift. Also, you should not forget that the material used is plastic. 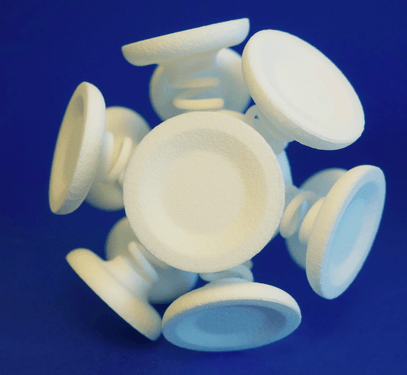 SLS technology allows for the use of a better quality plastic than the ones you can get for filaments. As for technical properties, it is important for your object to be as smooth as possible in order to be used as a technical part. Eventually, for the most complex designs, FDM technology might not be adequate. 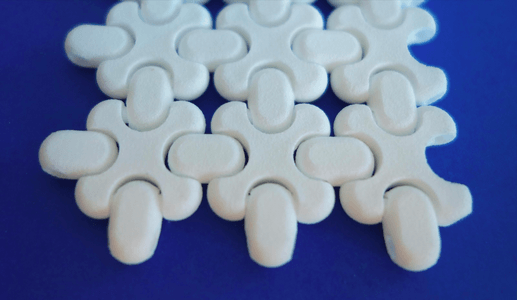 SLS printing is very efficient for partially opened structures and offers you a wider range of materials, colors and finishes that can make your object comparable to a manufactured object. If you want to give SLS a try and get some advice after you find something cool to 3D print, feel free to ask @ClaireChabaud. She’d be happy to help! Or you can also leave a comment below and we’d also be delighted to help you. 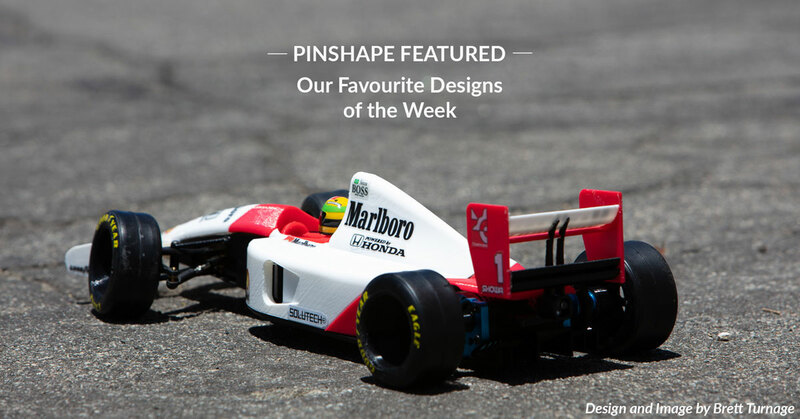 The Pinshape community is talking about us! Send your testimonials to [email protected]. Where can I find the three models you used for the test comparison? 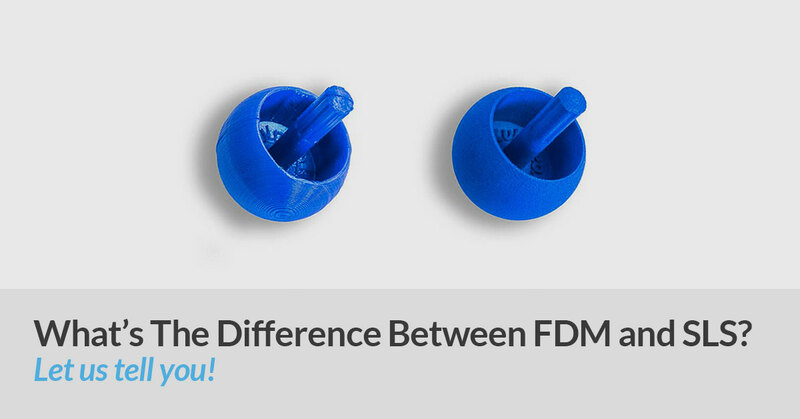 Wow, nice information on FDM vs SLS 3D Printing.Thanks for sharing. FDM is the dominant technology in the consumer-level 3D printing market due to the relatively low cost but does have it’s technical limitation, while SLS 3D printers are typically seen in professional or industrial settings due to the cost of the machines, which is balanced by the high quality and technical capabilities. Recently I got the services from “Iannone 3D” who provides best 3D Printing Services in the New Jersey area.